Robin and Scott Spivey walk past the wreckage of their Tudor-style dream home on Monday. 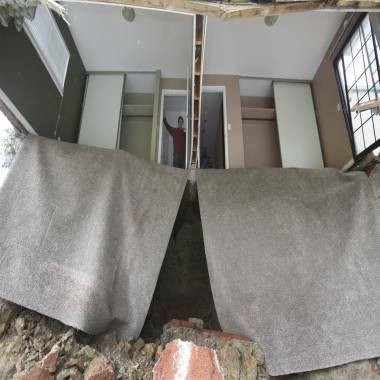 They had to abandon it when the ground gave way causing it to drop 10 feet below the street in Lakeport, Calif. Officials believe that water that has bubbled to the surface is playing a role in the collapse of the hillside subdivision, forcing the evacuation of eight homes and endangering another 10. 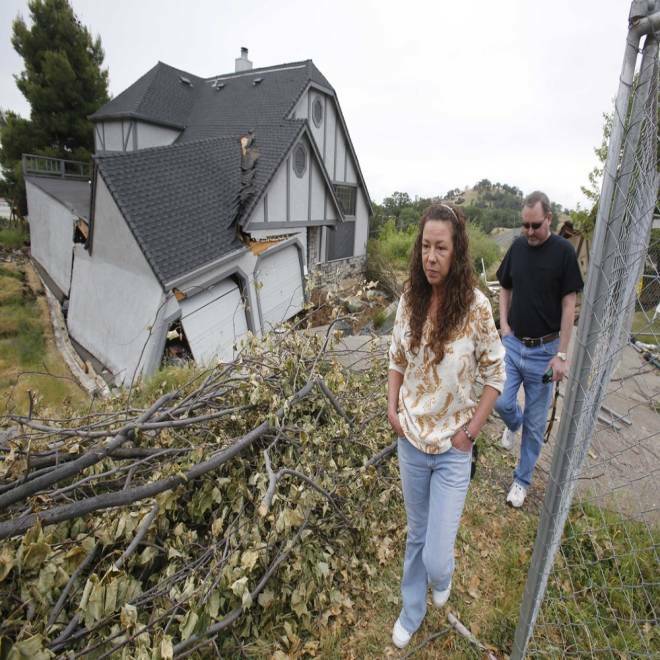 LAKEPORT, Calif. -- Scott and Robin Spivey had a sinking feeling that something was wrong with their home when cracks began snaking across their walls in March. Jagtar Singh gazes from the doorway of one of the bedrooms that collapsed as the ground gave way beneath his home in Lakeport, Calif.